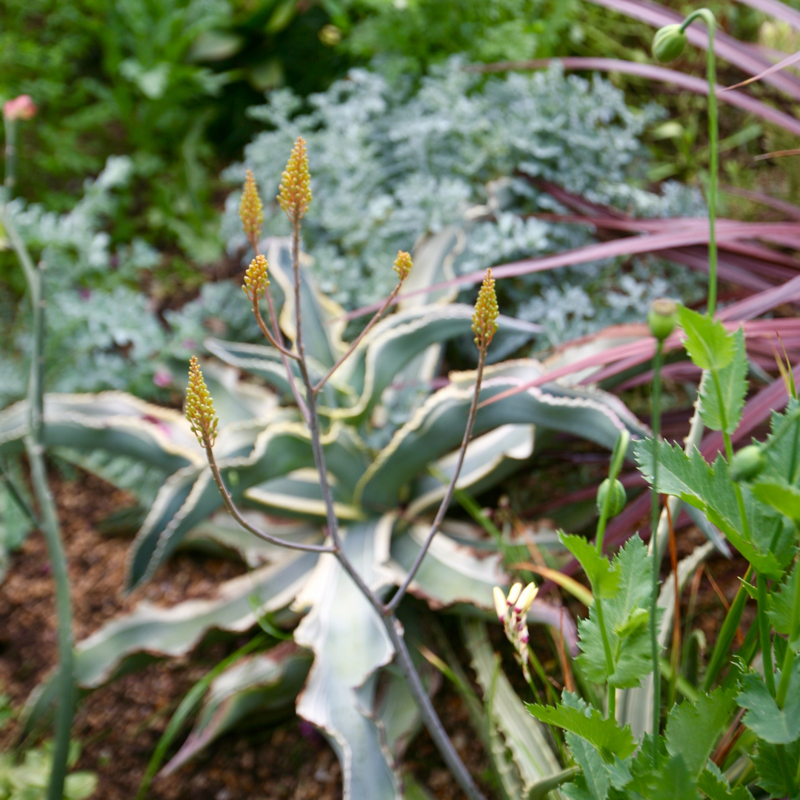 This entry was posted in agaves, woody lilies, shop talk, succulents. Bookmark the permalink. Ah, that ‘Gardener’s World’ Lychnis is the one with the double flowers, like a tiny rose. I nearly ordered some when they were in stock at Select Seeds as plants. Did you get yours by mail order? I had no luck with the Mertensia maritima that I bought a few years ago at Far Reaches Farm here in Washington. It faded away. I hope yours thrives. I wish I had half your success with poppies, Denise. I broke down this year and added 3 ‘Lavender Feathers’ poppies to an Annie’s order last month but it’s still anyone’s guess as to whether they’ll survive to bloom. 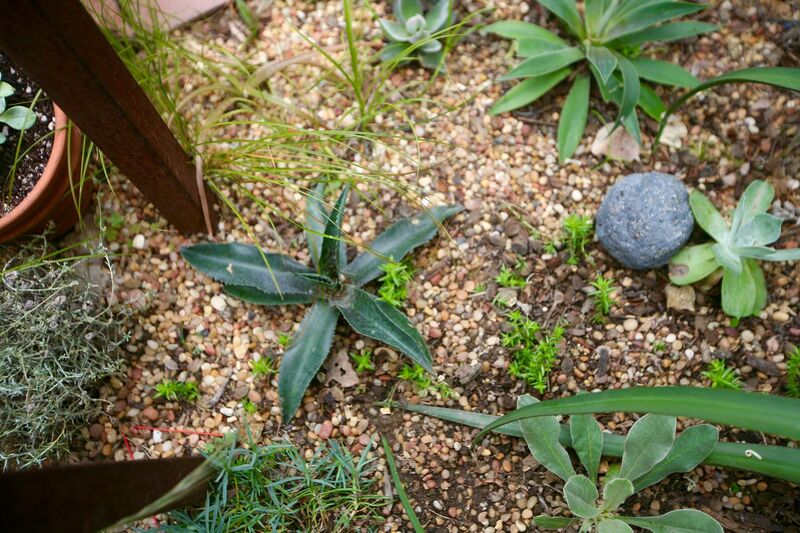 Coincidentally, I spent the late hours of this afternoon cutting back some of my own rampant self-seeders to reveal the agaves hidden beneath and also hacked away at the Leucadendron ‘Chief’ I should have cut back 6 or more weeks ago. What are you going to do when your ‘Wilson’s Wonder’ reaches its full potential? @Alison, yep, mine came from Select Seeds mail order. I was shocked to see that mertensia local because it definitely likes cooler climes. Perhaps it’s being grown here as a winter vegetable? I couldn’t pass it up. 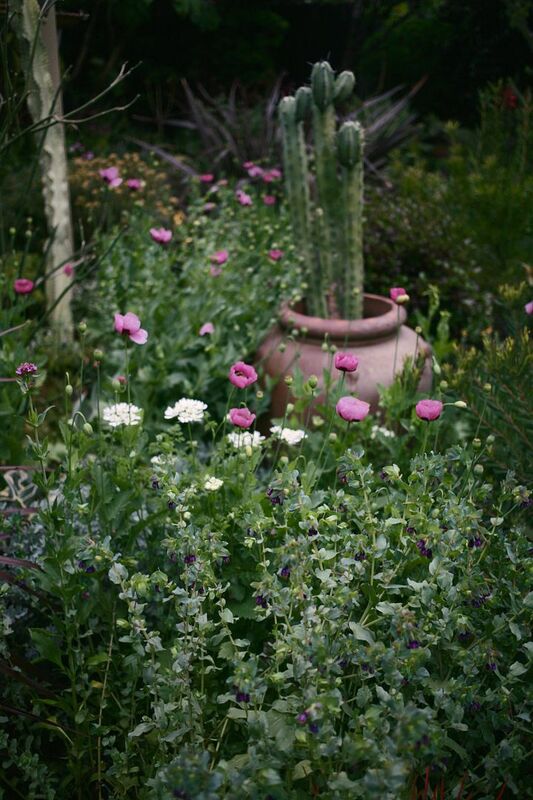 Those poppies are a gorgeous shade of pink. Normally not a pink lover but do love these. 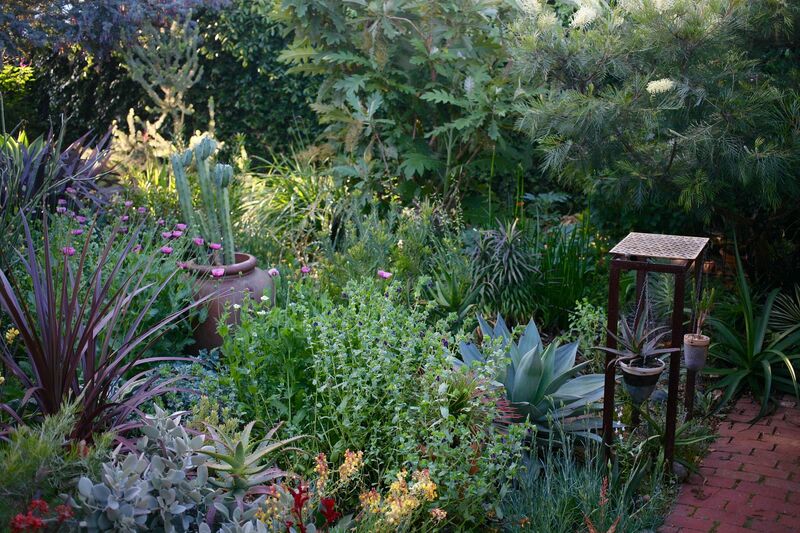 I don’t think it matters how big your garden is a collector never has enough space. However, never stops us from trying to squeeze more in. 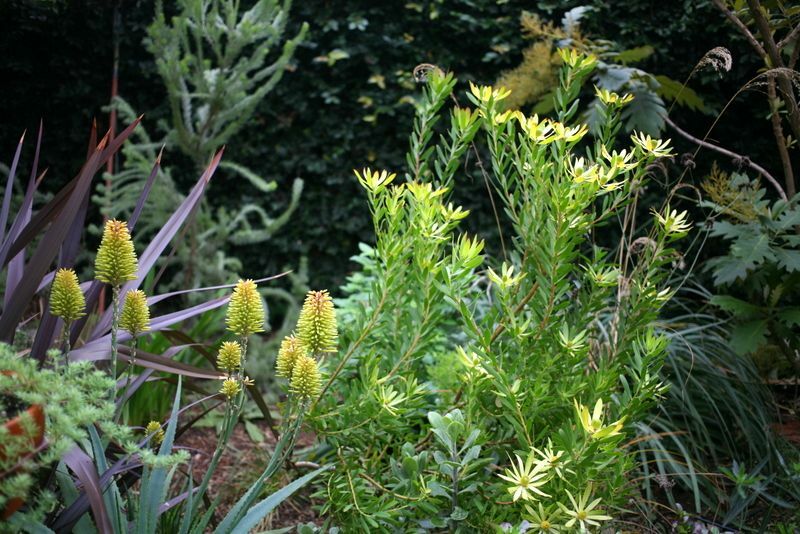 Is a dug-up Leucadendron replantable, something you could give to another gardener with more space? Very impressed at your steely resolve; it’s gorgeous in the January photo. 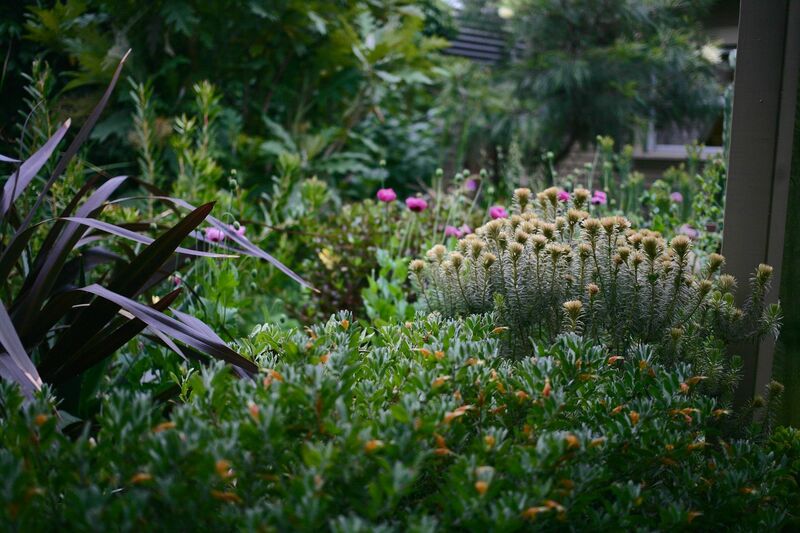 @Nell, there’s an ‘Ebony’ leucadendron very close by, so things were getting over-shrubbed, as they tend to do here. To replace the leuc, I’m trying instead Sphaeralcea ‘Childerley,’ a native that blooms through summer, so the seasonal emphasis shifts again! ‘Wilson’s Wonder’ is widely available — not sure how amenable it would have been to being moved elsewhere. Your garden is beautiful. 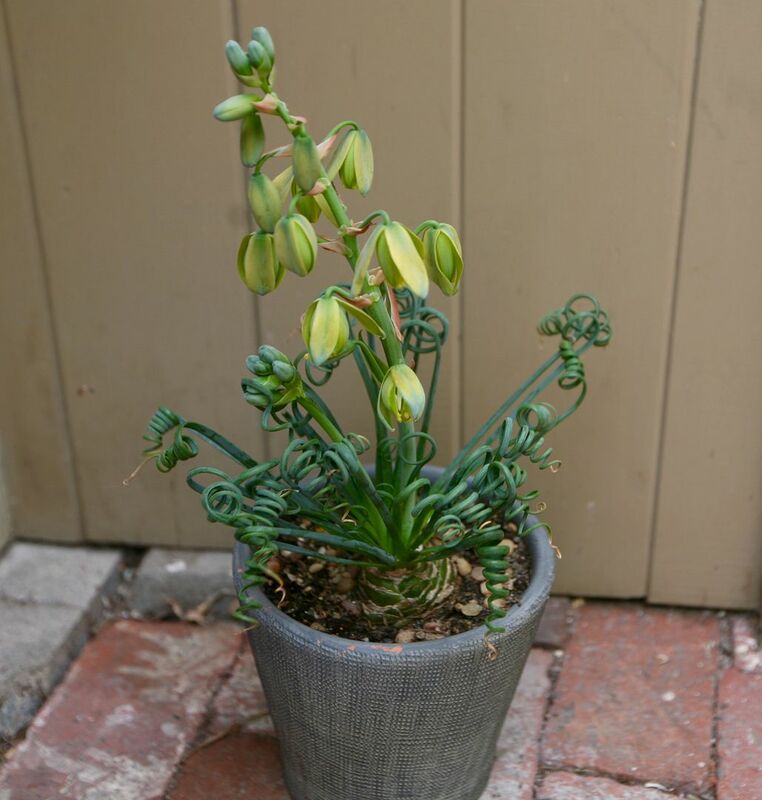 I’m jealous of your Albuca spiralis. I bought one this year and killed it. I haven’t seen another one to try since. 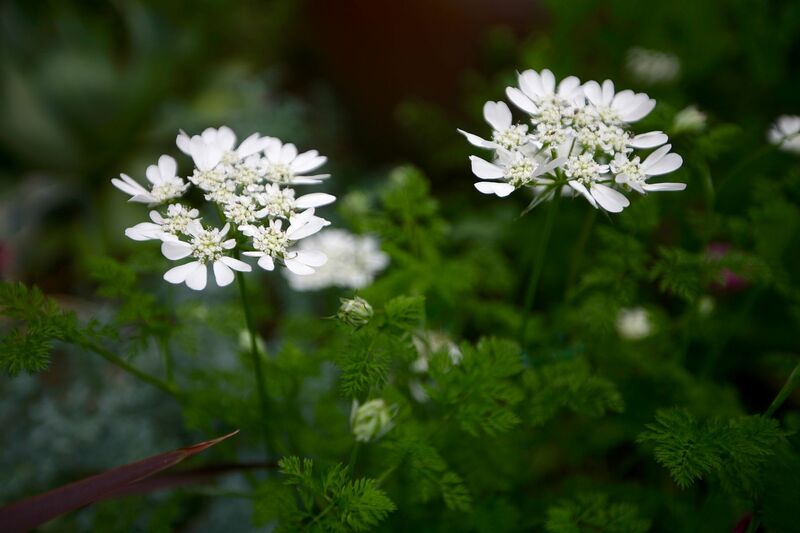 I admire your adventurousness and experimentation in trying so many different plants. 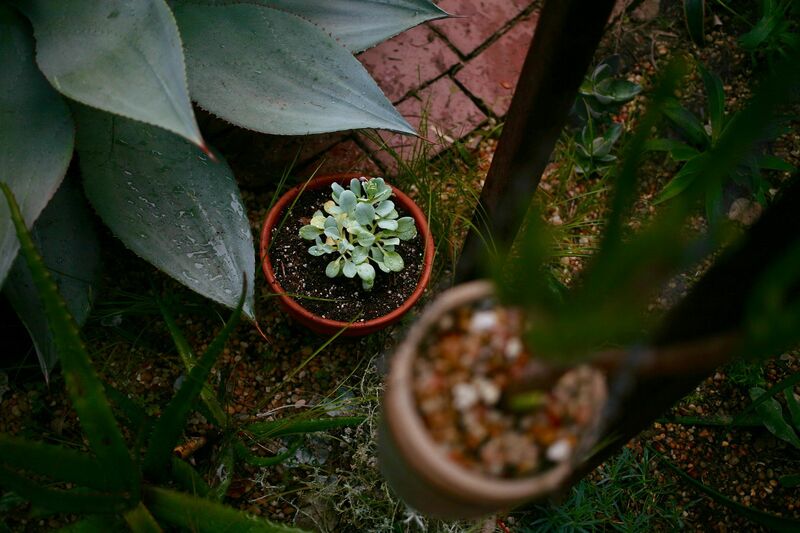 It has inspired me to do a little experimenting myself, and the garden/gardener is all the better for it. Thanks! Gorgeous! 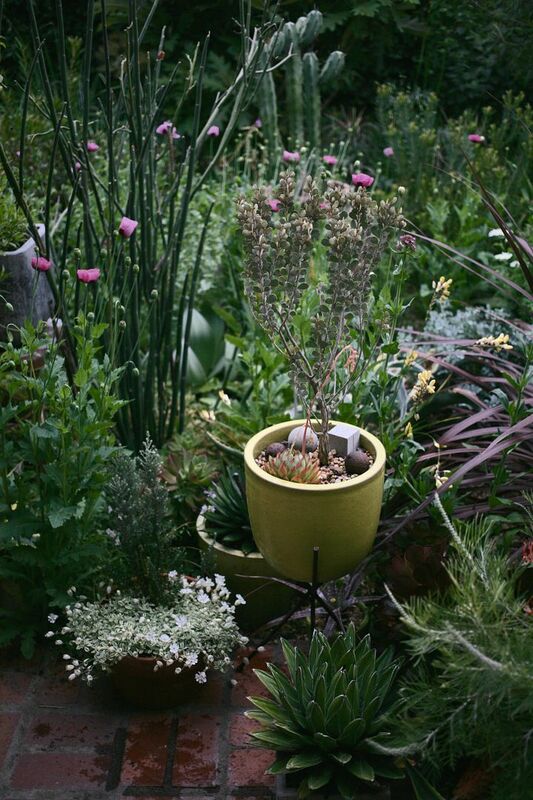 I love the idea of playing with pots instead of ripping the garden up every few years.